These beautiful beads are gold vermeil over sterling silver. They measure approximately .50" in height and .60" wide. Weighing approximately 2 grams each. Handmade in Thailand. 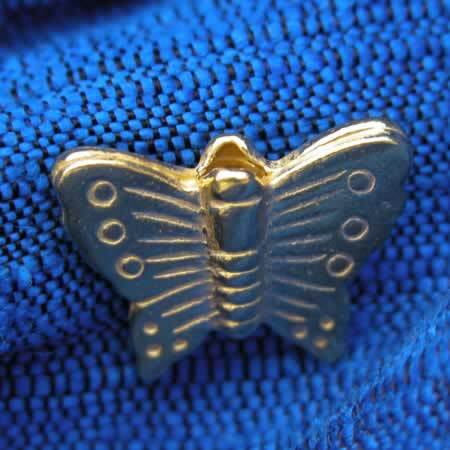 Hilltribe box clasp with butterfly.